Durable meets functional in an office chair that beckons guests of your business to sit down and stay a while. A black metal finish frame, comfortable curved armrests, and a soft fabric seat make it the perfect match for any office that desires a smartly aesthetic addition to their environment. 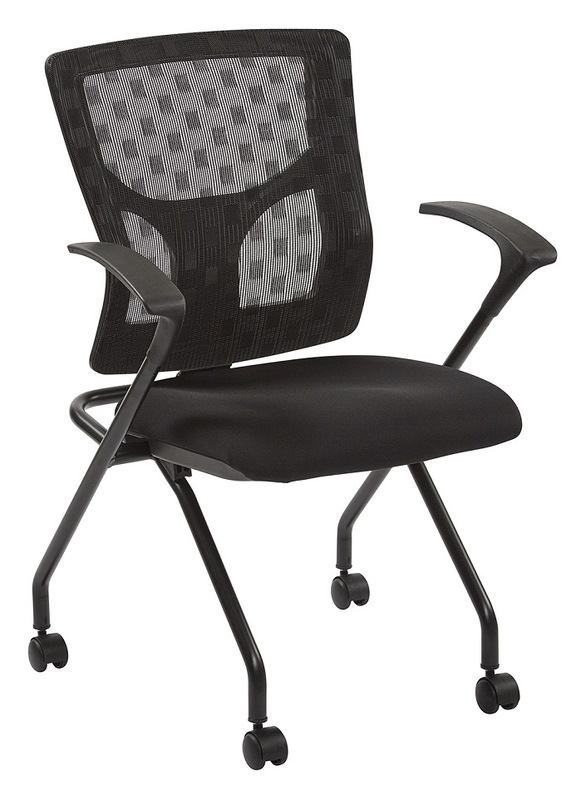 Attractive black mesh backing cradles the spines of visitors with build-in lumbar support, adjusting both firmly and gently to the curve of their back. Dual wheel carpet casters offer absolute ease of mobility when rearranging office furniture. Finished with a thickly padded contoured seat, your visitors are sure to be pleased with a business that cares for their comfort?